Get Involved with New International Student Orientation! 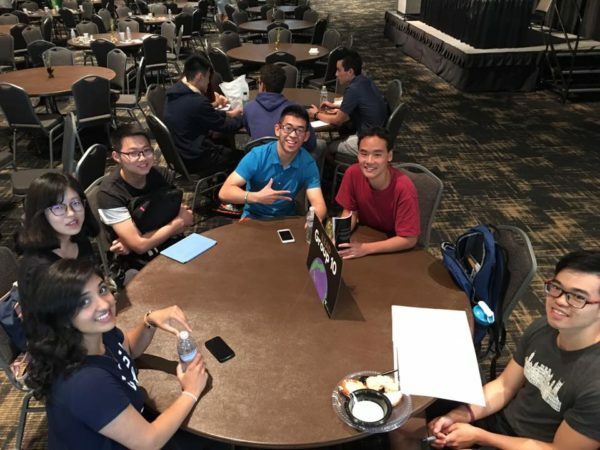 Each year, International Student and Scholar Services is excited to partner with many wonderful on-campus and off-campus organizations and partners to ensure New International Student Orientation is successful. As we continue to strengthen and expand the orientation program, our need for partnerships and volunteers increase. If you are interested in participating and/or volunteering in New International Student Orientation, please register below for some of the opportunities available to help welcome new Vanderbilt students! On-campus and approved off-campus organizations are invited to participate in the annual Resource and Vendor Fair during New International Student Orientation on August 15, 2019 from 8:30-11:00 am in the SLC Ballrooms. Participation at this event will allow organizations to interact with over 500 new students and provide them with information about their services and resources. If you would like to participate in the Resource and Vendor Fair, please submit the online registration form below no later than August 2nd, 2019. *Off-campus organizations are subject to a registration fee. If you are Vanderbilt-affiliated and would like to volunteer, please sign up here! Note: Early housing accommodations are not available for volunteers. Please register only if you will be in town and are available.